Recently, Google has revealed that it is testing the youtube material design on YouTube. This revamping in the design of Youtube has almost taken two years to come in the market. Currently, it is available in beta version. You can run this beta version on the windows or MAC OS as well as by a few tweaks. 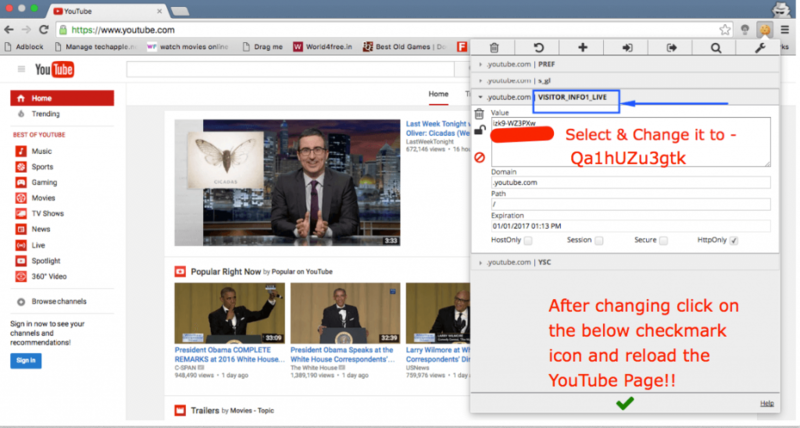 Here we have provided a small guide which enables you to access & open YouTube website in youtube material design view. YouTube Desktop Material Design is designed in more than 19 languages so far. It’s still in beta phase, soon update will roll for all languages. Recommended is Google Chrome browser but also works great with chrome & Firefox when tried. We generally prefer edit this cookie extension, a simple extension for editing cookies. After successful installation of the extension, it will automatically add cookie icon in the address bar of the browser. Now simply go to chrome://extensions/ page and allow the extension to Allow in incognito window. Now, simply open an incognito tab or you also need the sign out of all your Google accounts on your browser. After signing out of all your account or in the incognito tab, navigate on the following link jut by simply clicking on it. After opening the YouTube USA link in an incognito window, now click on the cookie button in the right-hand top corner & look for the option labeled “VISITOR_INFO1_LIVE”. Now expand this option and delete the existing text inside the VALUE box. Replace the text with Qa1hUZu3gtk without quotes. 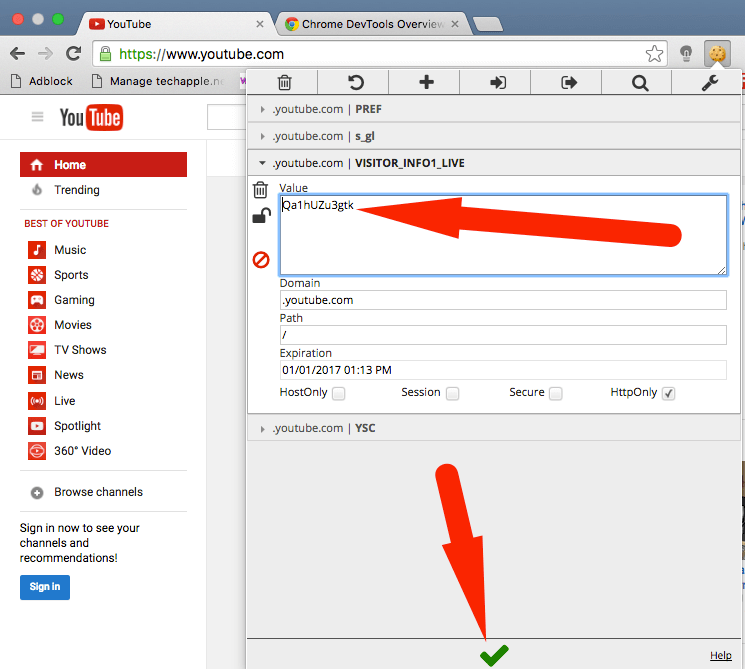 Now after completion of this process, do click on the checkmark button at the bottom and reload the Youtube USA page. Now all you have done and you are ready to see the new material design of Youtube loaded right in the browser. You can also use the option search as Search & View the redesigned channel pages. They look fantastic. Google Material Design PDF: If you need pdf format of this google material design tutorial let us know else you can save as pdf from your browser. YouTube Desktop Material Design will increase your look and feel of your youtube channel. it’s gonna increase your asthetic values of your page. So, what are you waiting for turn your all pages in youtube material design.